I am in disbelief as to how awesome today was. 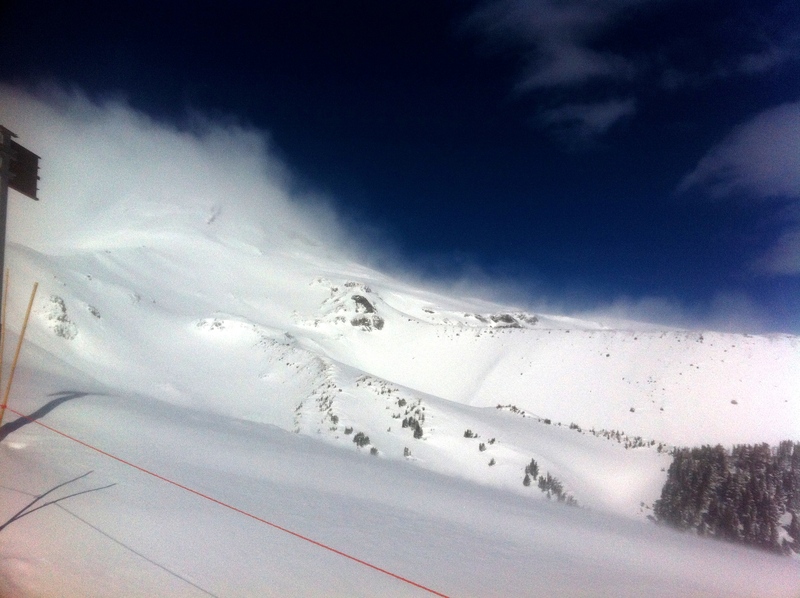 14″ or so super dry powder last night, yes actual powder on Mt. Hood, and gorgeous sunny skies over Meadows. Face shots all day all over the place. 14k feet of vert in 14 runs; last two runs of the day were Private Reserve and Heather.